India and Russia are set to take the North-South Transport Corridor project forward at a meeting in Mumbai in February, which aims at exploring modalities for spurring freight transportation along the Caspian Sea. 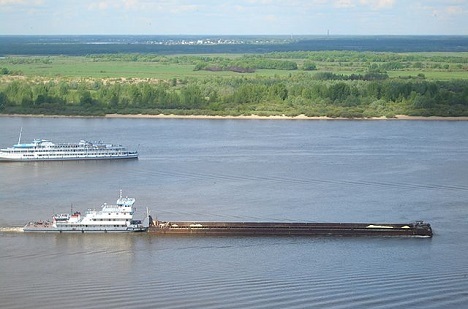 The Indian Association of Ship Owners and Freight Forwarders have invited their colleagues from Russia and Iran to Mumbai for a meeting in February on international transportation bypassing the Suez Canal, along the Caspian Sea, reports the Astrakhan Post. Astrakhan Region will play an important role in this as it is a convenient location for offloading goods both in the Russian territory and also for Caspian Sea states, countries in Central Asia and the Middle East. As Astrakhan Region’s Minister for International and External Trade Denis Afansev said, specific steps would be discussed in Mumbai to renew freight transportation along the Caspian Sea. In the fall of 2014 the North-South route was tested to check whether it was economical. At that time a member of the expert commission for the multi-modal North-South international transport route of the Indian Federation of Freight Forwarders, Sohel Kazani, and Ashish Sharma, second secretary at the Indian embassy, visited Astrakhan. At the Mumbai meeting, Indian entrepreneurs plan to present their Russian guests with the results from freight containers sent along three routes including the most direct route Nhava Sheva (Mumbai, India), Bandar Abbas,Tehran, Bandar-e Anzali (Iran), Astrakhan (Russia). The plan has been welcomed by experts and Indian freighters intend to continue to collaborate in the work which is already opening up the opportunity for organising regular and direct transportation between the three partnering countries, India, Russia and Iran. Furthermore, issues relating to freight insurance, ownership of containers and processes for returning them to their owners and transportation companies will be discussed in India. The North-South route was also discussed in mid- January during a visit by Astrakhan Region’s Governor Alexander Zhilkin to India. The governor observed the unique nature of this multi-modal route, which can provide for the transportation of goods through Astrakhan to central and northern Russia as well as to Europe. “And now our joint task is to renew the operation of these unique routes”, said the Astrakhan governor. The regional authorities have already prepared a raft of proposals for the Russian government, giving preference to southern freight routes to avoid delays in preparing documents and making the short route as quick as possible and accessible for countries in the Eurasian Economic Union and their partners. India’s Prime Minister Narendra Modi is favourably disposed towards the idea of renewing the ancient trading route along the Persian Gulf and Caspian Sea, and along the land route of Iran. During his meeting with Russian President Vladimir Putin last year, the Indian leader spoke about close links between India and Astrakhan: “When I was the chief minister of Gujarat State I visited Astrakhan and saw in the library Indian manuscripts. It also seemed to me that these two regions are very close to each other. In Astrakhan a building has survived called India House (the Indian trading lodge). It turns out that when Indian merchants travelled from India to Astrakhan they lived there.” With this kind of political push from the top, the north-south transport corridor could become a reality sooner rather than later.